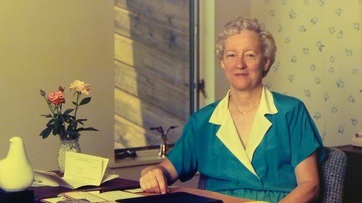 Joyce Kramer's work may be the finest living example of the woman-led viral ministry that established Unity centers across the country, thereby bringing discipleship to the teaching and healing ministry of Charles and Myrtle Fillmore. The development of the Unity movement would not have occurred without the work of people like Ella Pomeroy, Alma Morse, Louise Beaty, Mary Wessel and Joyce Kramer. These women and dozens of their colleagues established centers that replicated and scaled, delivering religious benefits without being noticed or challenged by the orthodox leaders and they provided those benefits without demanding substantial money, organizational control or social status. Like the Methodist circuit riders 100 years before them, they brought a new, simpler spiritual message to the masses that had been unserved by the stale message and formalism of orthodox churches. How they were able to achieve so much with so little money, education and social status is known in the business world as disruption. They stuck to a simple message, they did not rely on credentials or social prominence, and they refrained from throwing rocks at the established churches and their ministers. Before the religious establishment knew what was occurring, Unity centers had been founded all across the country. Ella, Alma, Louise and Mary have passed on. But Joyce continues to lead the congregation she founded in 1967. That Joyce planted a woman-led, theologically-unorthodox, racially-diverse church in a southern, evangelical region and that she was accepted as a community leader is a great story. We need to hear it. We can. In December 2013, Joyce sat down with me for two hours to share her life story, her advice to new ministers, her experience with congregational and outreach ministry, her perspective on how Unity can right itself and prosper and to reflect on the many notable people she has known over her 50-year ministry. Breeze Stewart, a dedicated and talented congregant, also gave insightful comments about Joyce's ministry. The video is available here, segmented into nearly 100 clips so that we can return to Joyce as needed for wisdom, guidance and inspiration. I hope you will write to Joyce at the Unity Church of Tidewater, thanking her for her service to Truth and for sharing with us her wisdom. I also hope you will attend the 2015 Fillmore Festival, to be held this fall in Virginia Beach, which Joyce has organized and hosted for over twenty years. But, most important, after reading the story of Ella, Alma, Louise and Mary, and after having listened to Joyce, I hope you will go out and start a Unity study group. If you have been inspired by the content of this page, then why not consider making an offering to the Unity Church of Tidewater?